Whereas tattoos, Crayola-coloured hair and prolific facial piercings were once an aesthetic reserved for punks, goths and other subculture groups, these body modifications have become commonplace in mainstream Canadian culture. For example, an estimated 38 per cent of millennials have tattoos and the trend towards an inked-up epidermis isn’t showing signs of slowing. 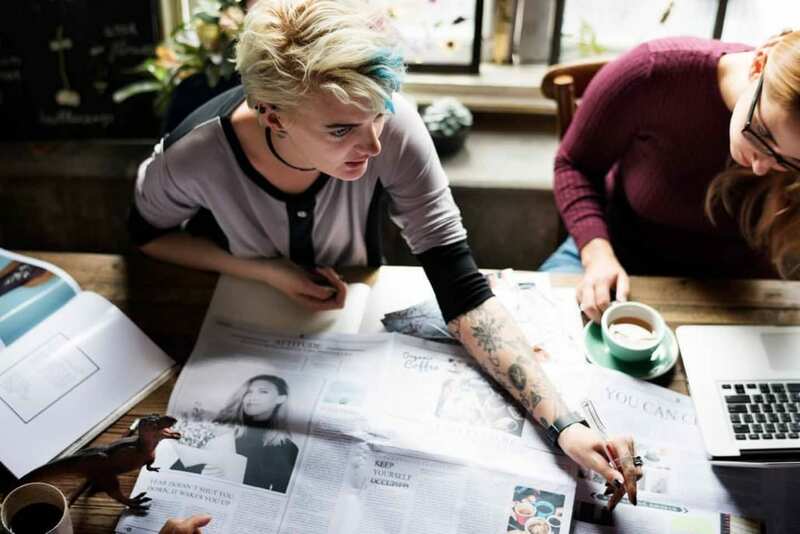 Despite their growing popularity and visibility, many workplaces still prefer that their employees do not have visible tattoos or piercings beyond their ears. But as an increasingly tattooed and pierced generation comes to dominate the workforce, so too do their sensibilities about acceptable presentation and self-expression. Which raises the question: do employers have the right to discriminate on the basis of body modifications such as tattoos and piercings when hiring employees? Given Canadian culture’s ever-growing tendency towards the celebration of differences, it may surprise you to learn that, when it comes to hiring, employers have every right not to hire someone because they are tattooed or heavily pierced. So long as the tattoos or piercings are not part of an ethnic, religious or tribal custom, the Human Rights Act and the Charter of Rights and Freedoms do not apply to employers’ hiring choices with regards to body modifications. Once an employee is hired, employers do not have the same discretion to impose strict rules regarding visible tattoos and piercings. Employers do have the right to exercise their own discretion when asking their employees to remove piercings or cover up tattoos. However, significantly restrictive rules concerning piercings and tattoos should have a reasonable business purpose. Therefore, employers should ask themselves if their rules relate to the achievement of their company’s purpose. Recent decisions from Ontario and Quebec judges have begun to clarify the limits of employers’ discretion when setting workplace policies concerning tattoos and piercings. In 2013, the Ottawa Hospital changed its dress code to require all staff (including those who did not work directly with patients) to cover all “large” tattoos. The new policy also required that staff remove “excessive body piercings.” The Ottawa Hospital argued that patients were less comfortable with tattooed and heavily pierced healthcare workers and that this could lead to stress and negative health outcomes. While the hospital argued that these measures were to ensure better patient health, the arbitrator found that these new regulations were too restrictive. Moreover, the arbitrator could find no evidence to support the supposed link between hospital workers’ body modifications and patients’ health outcomes and was therefore found to be unenforceable. The Ottawa Hospital decision was consistent with a 2011 arbitrator decision that found an Ontario Provincial Police policy requiring all 9,000 of its police officers to cover visible tattoos was too broad to be enforceable. Going further back, in 2009, a Quebec judge determined a daycare’s blanket prohibition on visible tattoos to be unreasonable. The judge granted that, while it was fair for the daycare to prohibit visible tattoos with inappropriate images for children, their insistence that an employee with a butterfly on her arm wear long-sleeves in the summer was overreaching. Employers should consider if having visibly tattooed and/or pierced employees is likely to negatively impact their business interests. Naturally, an employer does not want their employees’ appearance to be upsetting or off-putting to their clients or customers. It is fair for employers to require employees to cover tattoos that would reasonably be seen as inappropriate such as tattoos that depict hateful messages, or graphic violence or sexuality. Asking an employee to cover offensive tattoos is fine but sweeping prohibitions on tattoos and piercings may be found to be unreasonable if brought to arbitration. KCY at LAW has significant experience helping employers craft fair and enforceable workplace policies that will protect your business interests while respecting your employees’ rights to individual expression. To book your consultation, give us a call on +001 905 639 0999 or contact us online today!